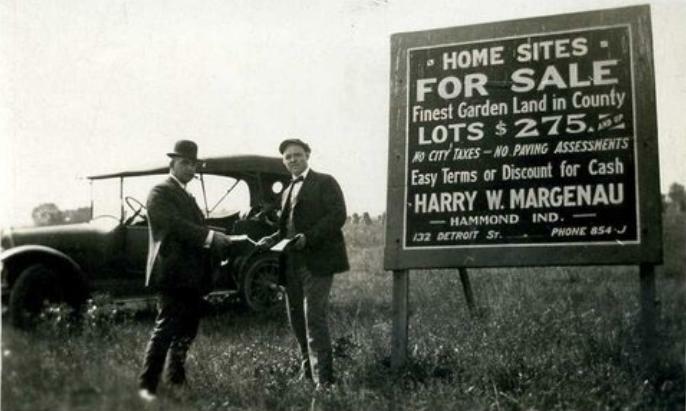 The history of homebuilding in Hammond, Indiana, brought a new meaning to affordable housing. Workers and laborers would travel to Hammond by bus or train, find a room to rent on State Street, move in temporarily with friends or family, or take a room at one of Hammond's downtown hotels. The search for a job would result in becoming a meat cutter at the Hammond Meat Packers or a day laborer until a better job came along. 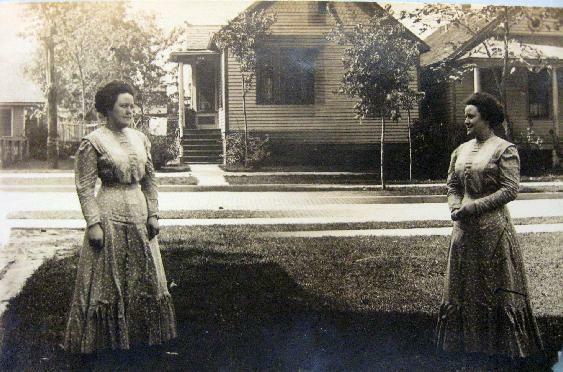 Ernie Phillips (left) proudly poses in the backyard and garden at 560 Morton Court in 1914. The washtub under the back porch tells us how they did their laundry. The second floor has an apartment that was available to new comers moving to Hammond. 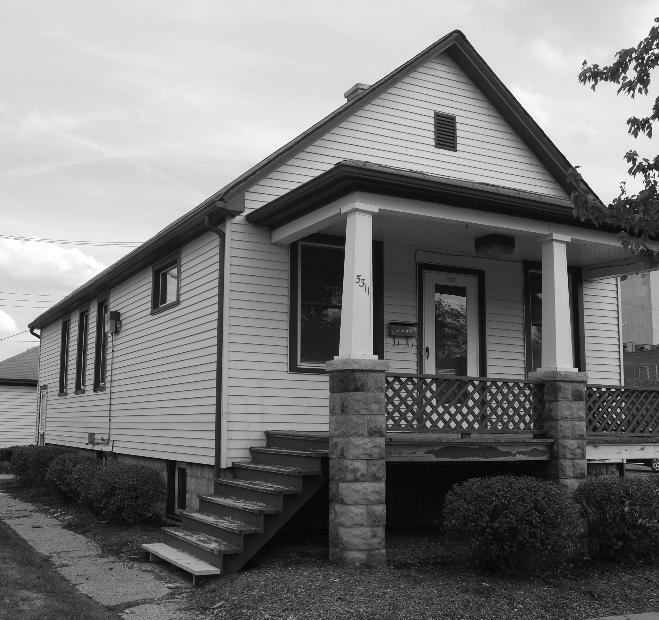 Many of the original homes built in Hammond, still exist. They sit on 25-foot lots with simple design and construction which made them affordable to many early settlers. You may recall that in an earlier time, public school teachers would not be permitted to be married. Thus many young women remained single throughout their teaching career. It would require some of them to live at home with their parents or find other working women to share a house. Hammond had affordable housing and many single women became home owners. Hanna Klatt, and their daughters, pose on the front steps of their Hammond home on Truman Street. And how did people brave the cold winters of NW Indiana? 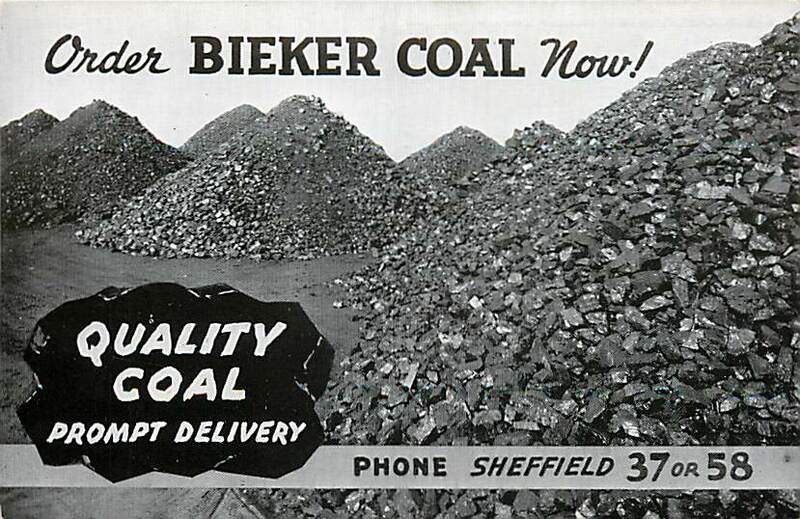 The main source of heat was coal, delivered to your home and dumped in the street. 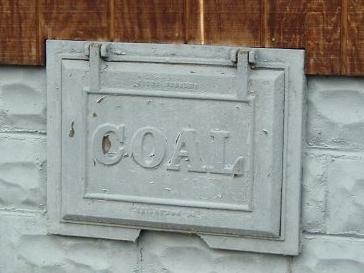 Everyone had a wheel barrow, a shovel and a coal bin door that stored the coal until it was needed. Young boys would be called upon after school to "shovel the coal", into the basement "coal bin" where is was stored, a dirty and tiring job. 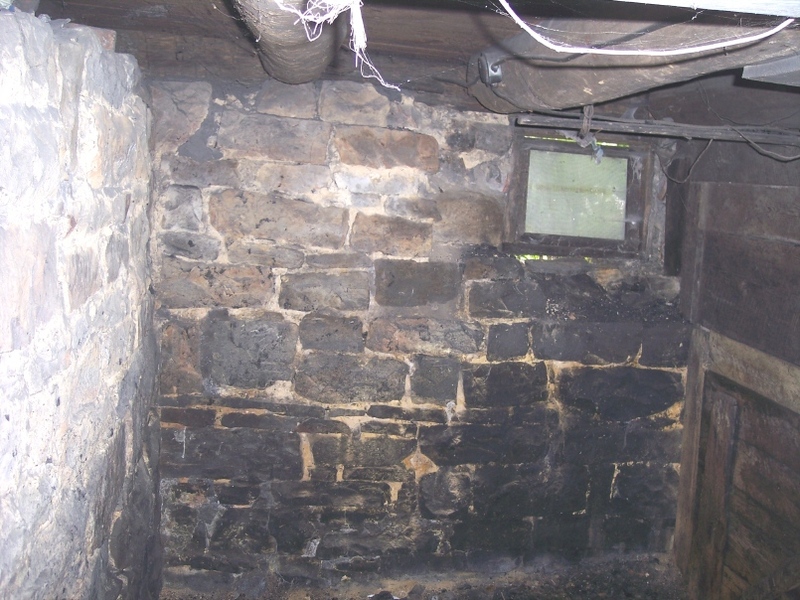 The basement coal bin that received the coal before being placed in the furnace. Dusty, dark, dirty and it challenged many housewives committed to keeping a clean house. 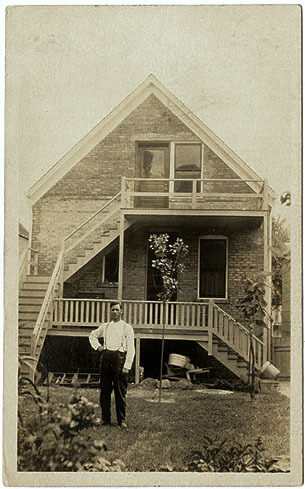 As homes were built in Hammond, they provided a demand for many skilled laborers. which attracted more people that attracted more workers, and so on... 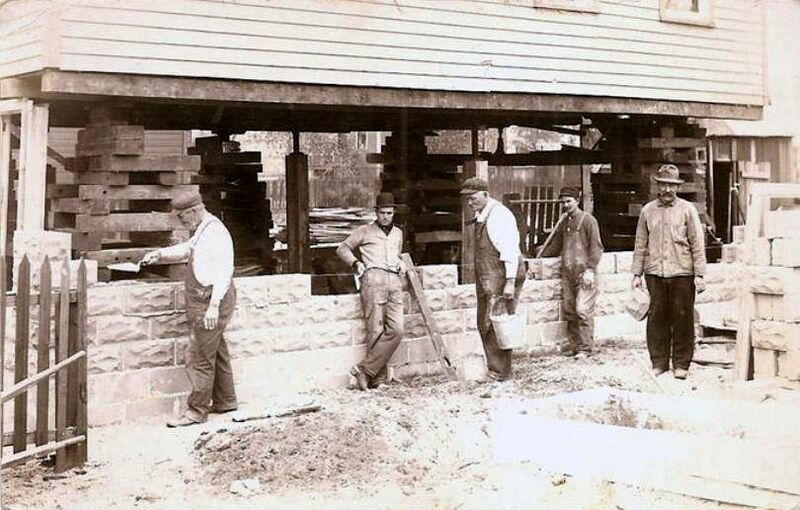 Here skilled masonry labor is used to improve the foundation of the home. The home is raised using screw jacks, the foundation is improved with household brick and the building then lowered into position. No hydraulics. No cranes. 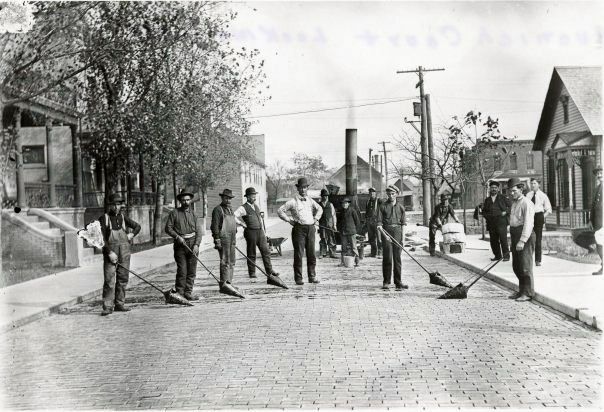 Just manual labor used to grow the city. 1915 Hammond neighborhood in winter. Sibley Street & Morton Court.